Accordingly, the Speaker’s Office announced that the five-member Review Committee headed by Prime Minister Ranil Wickremesinghe, would be appointed by Speaker Karu Jayasuriya within the next few days with the agreement of all other parties. It stated that the other members of the committee would be experts in the field who are not politicians. The review committee is tasked to present its report within two months. At the end of a full-day debate, the vote on the delimitation committee report was taken at 6 pm. A total of 85 members were absent, including the six JVP members. Notably, former President Mahinda Rajapaksa and Opposition Leader R Sampanthan too were absent. Out of the 23 SLFP members in the Government ranks, only 3 Ministers namely Faiszer Musthapha, Ranjith Siyambalapitiya and Nimal Siripala de Silva were present when the vote was taken. They voted against. The UNF, TNA and JO members voted against. Minister Rishad Bathiudeen, a minority party leader in the UNF, was absent. The Speaker at the end of the vote, announced that the report had failed to obtain the needed two thirds majority. However, the House even at the end of a full-day debate, failed to come to an agreement as to whether the Provincial Council elections be held under the old system or the new system. The SLFP and the JVP advocated for having elections under the new system, while the UNF, TNA and JO were pushing for reverting to the old system.A new mixed electoral system with a 50:50 ratio for the First-Past-the-Post system and Proportional Representation system was introduced for the PCs last year. Objections to the new system grew following the Local Government Elections in February. However, the two thirds majority was needed even if the House wishes to repeal the new electoral system in order to go back to the previous system. The Delimitation Committee comprised of Kanagaratnam Thavalingam (Chairman), retired Surveyor General Dr. Anila Dias Bandaranaike, retired Assistant Governor of the Central Bank Professor S.H. Hisbullah, Prof. Sangara Wijeyasandiran and retired Assistant Election Commissioner Premathilaka Siriwardena presented the report to the Minister on February 19. Elections for the Eastern, North Central and Sabaragamuwa PCs are already due, while the term of another three PCs namely the Central, Northern and North Western PCs is due to end by September. Party Leaders on July 20 agreed to schedule the PC elections on January 5, 2019, if Parliament could arrive at an agreement on matters relating to the elections before the end of October. Ministers Lakshman Kiriella and Arjuna Ranatunga contradicted each other in Parliament yesterday, when they spoke about obtaining Cabinet approval for Sri Lanka-Singapore Free Trade Agreement. Petroleum Resources Development Minister Arjuna Ranatunga in response to a supplementary question by UPFA MP Bandula Gunawardena, said that he had not seen the FTA with Singapore yet. MP Gunawardena requested the minister to object to the liberalization of the petroleum sector under the agreement and protect the Ceylon Petroleum Corporation from privatization. The minister replied that he was not aware of the agreement’s impact on the petroleum sector, but added that he would not let the CPC be privatized while he was the subject minister. He said so far there had been no proposal to privatize the CPC. NFF Leader Wimal Weerawansa at this point, queried as to why Minister Ranatunga did not study the FTA prior to approving it at the Cabinet. “Does the minister’s response mean that the agreement was signed keeping the other Cabinet members in the dark?” he asked. At this point Leader of the House and Minister Lakshman Kiriella stressed that the FTA with Singapore was presented, discussed and approved at the Cabinet. Former Minister and SLFP ‘Group of 16’ MP S B Dissanayake said the Agreement did not receive Cabinet approval and what was agreed at the Cabinet was to re-present it after a thorough discussion with experts and other relevant groups. Minister Rauf Hakeem intervening at this point, said it was wrong to claim the FTA was signed secretly, keeping the Cabinet and the House in the dark as discussions on it had been going on for years. “The FTAs are not signed overnight. It is a long process,” he noted. Meanwhile, another argument erupted in the House as to whether the FTA needed to be approved with a two thirds majority in Parliament to give it legality. MPs Bandula Gunawardena and Dinesh Gunawardena argued that the Constitution required the FTA to be passed with a two thirds majority in Parliament. Development Strategies and International Trade Minister Malik Samarawickrama said that he sought the Attorney General’s legal opinion prior to signing the agreement and that he acted as per his advice. He asked the JO MPs to go before the Supreme Court if they had any doubt over the legality of the procedure taken. UNP MP Chaminda Wijesiri observed that the former Government did not present the Pakistan-Sri Lanka FTA in Parliament prior to signing. Minister Faiszer Musthapha, quoting the relevant section of the Constitution, said what the Constitution says was that if an agreement obtained the sanction of two thirds, no written law could be published in contravention of the treaty, except in the interests of national security. This is distinct from the position taken by MP Dinesh Gunawardena that every international law should be tabled in Parliament. Provincial Councils and Local Government Minister Faiszer Musthapha told Parliament yesterday, that the SLFP had decided to vote against the Delimitation Committee report. The announcement made towards the end of the debate came as a surprise to many in the chamber. The minister said the SLFP decided to vote against it, due to the loopholes in the report. “As the subject minister, I appointed an independent delimitation committee and I did not interfere in its affairs. My responsibility was to present its report to Parliament and Parliament has to either accept or reject it. I too have the right to either accept or reject the report, as I was not involved in its the making. I object due to the loopholes in the report,” he noted. The minister said the loopholes in the report could be amended during the appeal process once the Delimitation Appeals’ Review Committee headed by Prime Minister Ranil Wickremesinghe is appointed. The minister, opening the debate earlier on the day, pointed out that those who are against the new electoral system do so due selfish reasons. “Such types of people and parties want to protect their bargaining power in national level politics. They want to join the main parties of the country by highlighting their ethnic communities, so they could make deals with such parties,” he noted. The minister still batting for the new electoral system said, “Sri Lanka would not go forward if we continue to oppose progressive proposals such as the new electoral system.” The minister expressed his strong opposition for reverting to the old electoral system. Musthapha said that the preferential vote system had barred less affluent citizens from being elected to Parliament. “So many lives were lost and properties damaged as a result of the nature of that system. It is a threat to democracy. We should change that situation for the betterment of this country,” he added. Politics in Sri Lanka which had presently turned into an extremely profitable business, should be re-positioned as a public service, JVP Leader Anura Kumara Dissanayake yesterday said. He pointed out that an electoral system alone could not change this destructive political culture. Dissanayake pointed out that many who had an average lifestyles before being elected to Parliament, have later turned into wealthy businessmen. Dissanayake further said that in the present political culture, politicians have become “goods that are being sold for money.” There is no point in having a good electoral system, if politics is corrupt in every possible manner, he said. Dissanayake made these observations, joining the debate on the Delimitation report concerning the Provincial Council election held yesterday. Dissanayake was extremely critical of the Government, the Joint Opposition and the ethnic based political parties for working together against the new electoral system. According to Dissanayake, all these parties’ main objective was to defeat the Delimitation report, so that they could postpone the Provincial Council election and a ‘just electoral system’. “The government is unable to face the public. So they wish to skip this election. Minority parties want a change in the electoral system as the new system would not support their ethnicity based politics. These political leaders who represent the ethnic minorities, wish to do away with this mixed electoral system, as it does not support racism,” he observed. National Integration, Reconciliation and Official Languages Minister Mano Ganesan yesterday, requested Joint Opposition MP Wimal Weerawansa not to ignite racial disharmony using a recent conflict that occurred between two fishing communities. Ganesan requested the JO MP to let the government solve the matter without trying to make things worse. Minister Ganesan also said that they would not permit anybody to create racial conflicts in the country once again. “President Maithripla Sirisena had already looked into the matter, while discussions are afoot to resolve the issue. So allow this problem to be solved properly,” Minister Ganesan said. Minister Ganesan made these observations when JO MP Wimal Weerawansa told the House that some Tamil fishermen at Mullaitive had attacked a group of Sinhalese fishermen from Chilaw, who do migrant fishing. In reply to MP Weerawansa’s allegation, Minister Mano Ganesan said that he inquired about the matter from the District Secretary of the area. According to the DS, the two fishing communities had clashed when the migrant group has attacked the local community and burnt down some shelters built by them. “We have no problem in sharing the ocean. There is no Sinhala sea or Tamil sea. We have no problem with migrant fishermen either. But if some of them act in an illegal manner, it is not correct,” Ganesan said. Minister Ganesan also said that they are completely against the Indian fishermen invading Sri Lankan waters and stealing Sri Lanka’s resources. SLMC leader and City Planning and Water Supply Minister Rauff Hakeem yesterday, said the minorities have suffered due to the delimitation report and urged the government to consider forming multi-member constituencies for the benefit of minor and minority parties for the forthcoming Provincial Council elections. Minister Hakeem criticized the Delimitation Committee for taking decisions being limited to within statistical straight jackets which had no flexibility. Participating in the debate on the Report of the Delimitation Committee for the Delimitation of Electorates in Provincial Councils, Minister Hakeem said the delimitation committee had done a great injustice to the Muslim community and other minority communities. “The delimitation committee have set themselves at some internal criteria, which in my opinion, is wrong and discriminatory for minorities. It does not reflect the necessary diversity in selection of members to Provincial Councils. When there is a particular minority community living in substantial numbers within a geographical space, they have to bring in a criterion to form constituencies benefitting the particular community,” Minister Hakeem said. He observed that such an important postulate had been overlooked. If the government fails to rectify the shortcomings of the report, we perhaps would be compelled to leave the government, the Minister further said. When the Joint Opposition members started commenting on the Minister’s claim, Hakeem said, “you don’t need to prompt me to take political decisions. We are intelligent people. We know how opportunistic you could be. I am used to resigning. I have done it twice before. I might be the only minister in this government who has left his ministerial post due to disagreements and demands,” he further said. The Minister pointed out that there are issues relating to the creation of constituents in many areas where there is a Muslim representation, such as Udunuwara, Anuradhapura, Kurunegala, Mawanella and Gampaha. “I am sure the government would take up the amendments we have proposed or go for the old law to hold the elections soon. We must look for an alternative if we are to hold Provincial Elections in a timely fashion,” he added. Even after Railway fare revisions, train fares are 40% low-priced than bus fares, Transport and Civil Aviation Minister Nimal Siripala de Silva yesterday, pointed out. He also pointed out that the last revision to train fares was in 2008. Minister de Silva also said that as soon as Indian power sets are brought to the country, the ministry would facilitate a new night mail train to the North. The Minister pointed out that Sri Lanka Transportation Board had recorded the highest income in the Northern Province.He made these observations in reply to EPDP leader Douglas Devananda’s question in relation to the train fare revisions applied to fares from Palai and Kankesanthurai to other parts of the country and vice versa. Devananda pointed out that there was a 15% fare revision to the said train lines and questioned if the new 15% revision would also be applied to the same. Minister de Silva pointed out that the said fare disparity would be addressed accordingly. Leader of the House and Minister Lakshman Kiriella presented a draft amendment to repeal the Provincial Councils Elections (Amendment) Act, No. 17 of 2017 and to hold the PC elections under the old electoral system. The minister pointed out that if all parties agree with the draft amendment, the Government would be able to hold the PC elections soon. He was of the view that the PC elections would be delayed for about another year if the elections are to be held under the new system. The minister in his draft amendment proposed to conduct the PC elections under the Provincial Councils Elections Act, No.2 of 1988. “The UNP has already discussed with the JO on bringing an amendment to the current law. I will pass this draft document to you. If we can agree on it we can make arrangements to hold the elections soon,” he told MP Dinesh Gunawardena. He pointed out that the UNP is for holding the Provincial Councils Elections under the old electoral system. 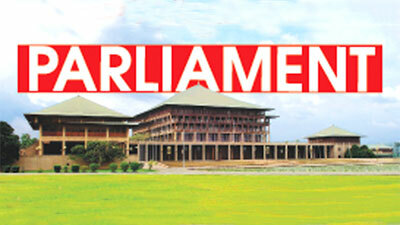 “It is the UNP which introduced the PC system in 1987. The UNP is of the view that our country needs power devolution as a solution to the national question and PCs are closely associated with power devolution mechanism. We too wants PC elections to be held soon,” he said.